If you have a desire to work in environmental education as a new career or as a new direction in your life, then one of our voluntary Education Traineeships might be for you! 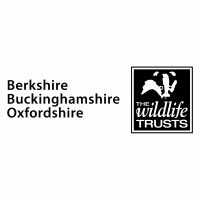 As one of our 20-30 BBOWT Wildlife Trainees, you will spend 2-3 days per week over a period of 6-12 months, developing your skills in environmental education, building experience in working with children in an outdoor setting and inspiring the next generation at our beautiful nature reserves. Previous Trainees have had a high rate of success in finding employment and have found their Traineeships instrumental in helping them begin their career in this field. You will be based at Windsor Great Park Environment Centre, a prestigious partnership project with the Crown Estate based in a wonderful, private location amongst the beech forest and ancient oaks of the Great Park, providing an indoor and outdoor classroom for inspirational and exciting activities. Here there will be ample opportunity to be involved with our varied and exciting range of educational programmes. This will include assisting with and leading school group activities, both at the centre and offsite, planning and delivering events for families and developing resources. Applicants should have a strong interest in environmental education and conservation, working with children and enjoy engaging with people of all ages. Relevant volunteering or work experience is desirable; please see the Role Description for a full list of essential and desirable criteria. Preferred placement months are April – August, our busiest time for supporting large numbers of school visits and events. You will spend 2-3 days per week, from 8am – 4pm (with flexibility). For an application form and more information please visit our website. CVs will not be accepted. Please mention ConservationJobs.co.uk when applying for this job!